During winter the harshness of the elements leaves the skin cracked, dry and flaky, robbing it of its natural moisture and glow. Emami Vasocare Herbal Petroleum Jelly now provides the herbal power to heal, protect and revitalize the skin from within to ensure 24-hour winter skin-care. This light green jelly restores the skin's natural glow and offers a pleasant usage experience with it's mild fragrance. Vasocare Herbal Petroleum Jelly now is available in three flavours - Original, Fruit Touch and Flower Touch for application on all the exposed parts of the body prone to stubborn cracks. 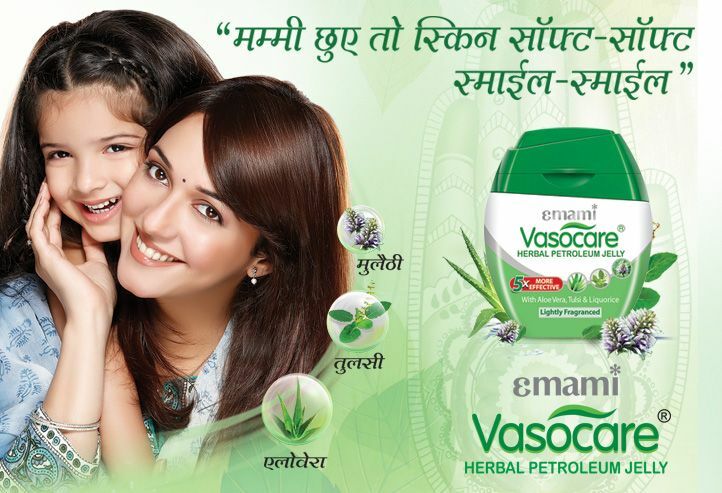 The Vasocare range has unique herbal formulae blending the best of Aloe Vera, Tulsi and Liquorice.